Keep your car safe and tidy with our unique design of car rubbish bins. They are available with with Richbrook, Ford and Vauxhall branding and are supplied with a roll of 30 biodegradable liners. 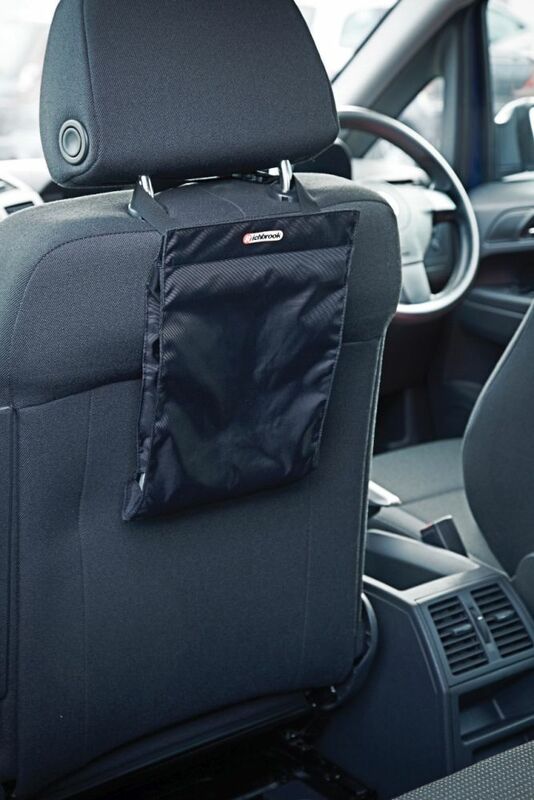 The Richbrook Car Bin is an in-car essential for any motorist! Its unique design makes it the perfect solution for busy parents, drivers, families and anyone who spends time behind the wheel. Simply pop it open, drop in the rubbish and then powerful magnets snap it shut! The bin includes a roll of 30 biodegradable liners for convenience on the move. Each liner holds a whopping 6 litres of rubbish. The roll sits at the bottom of the bin. Simply unclip the full bag, lift it up, tear it off and clip the next bag into position! Each one is made of Oxo-Biodegradable Plastic (OBD), meaning that once exposed to the environment it will harmlessly break down in a matter of months, rather than hundreds of years. So your conscience will stay as clean as your interior! It has clip strap and a Velcro pad so can be located conveniently pretty much anywhere inside your car. 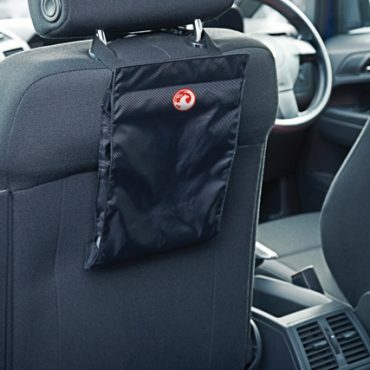 The Vauxhall Car Bin is an in-car essential for any motorist! The perfect solution for busy parents, drivers, families and anyone who spends their days behind the wheel. Simply pop it open, drop in the rubbish and then snap it closed! The bin includes a roll of 30 biodegradable liners for convenience on the move. Each liner holds a whopping 6 litres of rubbish. Powerful magnets keep the top securely fastened to allow even high-speed merchants to keep their interior ship shape, no matter what's inside. The roll of 30 liners supplied with the Car Bin are clever. Very clever. Not only does the next one pop up as you dispose of the rubbish, but each one is made of Oxo-Biodegradable Plastic (OBD), meaning that once exposed to the environment it will harmlessly break down in a matter of months, rather than hundreds of years. Lovely! So your conscience will stay as clean as your interior.